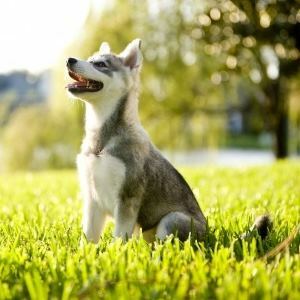 The Alaskan Klee Kai could quite possibly be one of the cutest dogs you lay your eyes on, especially if you’re a fan of the Siberian husky. They are actually said to be a smaller version of the husky, although they are very similar in physical shape. Much like the Poodle, there are three sizes of Klee Kai, the Toy, Miniature, and Standard. These cute little guys are known for its distinctive and beautiful face mask and colors. The toy Klee Kai weighs 10 pounds or less. If you want a small fluffy dog, this might be the perfect breed for you. Having a 10-pound Siberian husky sounds like the perfect and most adorable dog a person could own, and many people see it that way. The general appearance of an Alaskan Klee Kai reflects the breed Northern heritage. 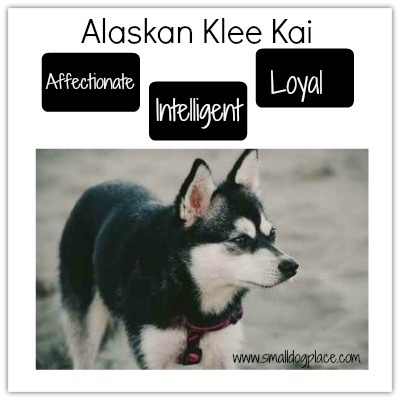 If you’re in the market for a small, adorable dog that is very loving yet loyal, then the Alaskan Klee Kai is the perfect little dog for you. Colors: They come in three recognized color varieties including black and white, grey and white, and red and white. 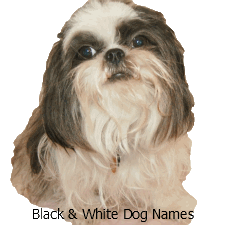 Recently, solid white color of this breed has become prominent; however, it is not fully recognized by UKC yet. Activity Level: Moderate-High; the AKK need daily, routine exercise, especially long walks. Good with Children: If socialized at a very young age, they can be good with children; however, they might be hesitant or cautious. Some Klee Kais will not put up with the usual antics of a small child or toddler. Their constant tugging, pinching and poking may upset the dog and cause him/her to nip at the small child. Good with Other Pets: Good with other dogs, however, the AKK must be socialized with small animals and pets such as gerbils, birds, guinea pigs, and any other small pets at a young age if you want them to live in peace with any small animal. They have such a strong prey drive and will have the need to hunt and kill a small animal if not socialized and trained well as a puppy. The Alaskan Klee Kai is a somewhat new breed, developed in the early 1970s by Linda Spurlin. Spurlin discovered a tiny little gray and white husky, a farm dog owned by one of her relatives in Oklahoma. She persuaded them to let her have him and he became the foundation stock of what was to become an entirely new breed. The name Klee Kai is derived from the Eskimo words meaning 'little dog' and was given to the breed by their original breeder, Linda Spurlin. 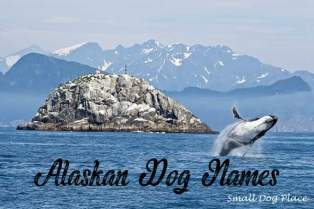 It is uncertain how the breed emerged but it is likely that the Alaskan Husky had a prominent part to play. Alaskan Huskies have become very popular in Alaska in the last 50 years as the ideal dog for pulling sleds. Prior to that, Siberian Huskies were generally used. Once racing became popular and profitable, Alaskan mushers were determined to get a breed that was superior in strength, endurance and speed. Linda Spurlin's goal was to create a dog that resembled the Husky, but was smaller in size and was meant to be a companion dog. Eventually the breed was accepted by many major kennel clubs including Federation of International Canines, the American Rare Breed Association, Canine Rarity Shows, the Alaskan Klee Kai Association of America, and the United Kennel Club. 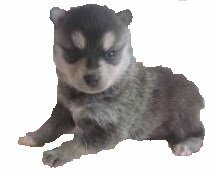 Alaskan Klee Kai are very loving and loyal dogs, but do require quite a lot of socialization and special care as puppies. Without proper socialization and exercise, they can become high strung, but in the appropriate home, these loving dogs can be the perfect companions for a lot of people. They are a bit reserved with strangers, but are very loving and fun once they get to know you. It cannot be stressed enough that they need to be socialized well. Some, who have not had early training or socialization, like to take on the role of leader of the pack, which can lead to Small Dog Syndrome. The ideal owner is one that uses a positive reinforcement mode of training. They want to be your friend and they don't need an owner that is going to assume the role of Alpha delivering harsh punishment. They are very alert and vocal. These characteristics along with their inborn tendencies to be wary of strangers make them outstanding watchdogs. These dogs, like many of their Spitz-type cousins are highly intelligent and can get bored easily if not given enough challenges or a job to do. If you are interested in dog sports, this breed performs well in Agility, Rally, Lure coursing, Obedience, and Weight pulling. They are also very active, especially outdoors and need plenty of exercise. A couple long walks coupled with some vigorous playtime in a well fenced in area will keep your Klee Kai happy and in shape. They have an extremely strong drive to please, and as well as being very intelligent, this makes training usually very easy. Alaskan Klee Kai also have a strong prey drive which means, they will feel the need to hunt and kill any small animal or rodent. It is highly encouraged to expose your AKK to gerbils, birds, small dogs or other small pocket type pets from an early age. Dogs with a strong prey drive should not be allowed off leash as they are very likely to chase anything that moves. 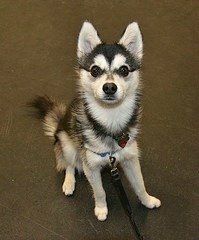 As friendly as they can be, Alaskan Klee Kai also need to be socialized to work with children, if they are going to be a presence in their life. They naturally will not like small children poking them or tugging on their tail, but again, with proper socialization, they can work very well with children. They do much better with older children who are respectful and have learned how to interact appropriately with dogs. If you do not want a vocal breed, then the Alaskan Klee Kai may not be for you. They love to communicate, and some owners claim to have conversations with their pup. This is one of the reasons that they make such great watchdogs, however, if you are an apartment or condo dweller; this may not be the breed for you. Since this breed is a seasonal shedder, usually shedding between the months of January to June. During this seasonal shed, they should be at least brushed daily. They don’t shed an obscene amount, and are considered average shedders. They have a double coat, which is why they need the daily grooming, and they also blow their coat twice a year. During this time, they lose all of their fur. Alaskan Klee Kais often like to groom themselves and are the type of breed that doesn’t like to get their “feet wet.” This means that they will lick themselves and rub against furniture, fences, etc during the time that they blow their coat. Brushing is really the most important grooming task because their coat is thick and brushing helps remove old dead hairs, lives them looking better and their coat shiny. Brushing and combing also prevents mats from forming. The best tools for grooming include a pin brush and a metal comb. Combs with wide teeth are best for overall combing, but you may also want to go over the coat with a fine toothed comb such as a flea comb. 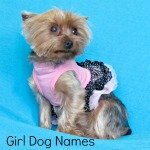 Along with any other breed, they will also need regular bathing, nail clippings, teeth brushings, and ear checks. However, with proper grooming and attention, they will be beautiful and fluffy friends. 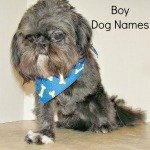 As with all breeds, puppies should be introduced to grooming from an early age, even if grooming is not really necessary. If you wait until the puppy is older, you are likely to have a dog that hates or even refuses to be groomed. Very rare. Be prepared to wait for the right dog to come along. Alaskan Klee Kai: Husky or Unique Breed? Well-known actress and pop star, Miley Cyrus owned an Alaskan Klee Kai named Floyd. Need a Great Name for your AKK?